Now that we've seen what the opening act (DCCU) has to offer, it's time to get ready for the headliner (MCU) to take the stage. 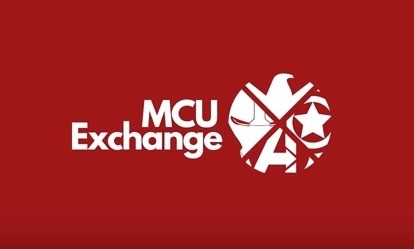 This video, made by the fine folks at the MCU Exchange website, is seriously one of the most amazing fan made videos I have ever seen and they do a great job of Pulling the whole Marvel universe together, including the TV shows. Oh man, that moment when they blend the two versions of Steve Rogers saying "I can do this all day." Did you get a little emotional? If this video doesn't get you excited for Civil War, I don't know what would! Captain America: Civil War will be released in theaters on May 6th and features an all star cast including Chris Evans, Robert Downey, Jr., Scarlett Johansson, Elizabeth Olson, Sebastian Stan, Chadwick Boseman, Paul Rudd, Paul Bettany, Frank Grillo, Jeremy Renner, Martin Freeman, Gwyneth Paltrow, Anthony Mackie, Daniel Brühl, Don Cheadle, Marissa Tomei, Emily VanCamp, William Hurt, and Tom Holland.